A not too spooky set of Halloween activity pages that your kids will love! Perfect for classroom parties too. Halloween is coming! Are your kids asking for fun Halloween activity pages like mine? My twins love puzzles and mazes, and when they are themed around their favorite holiday it's even better. 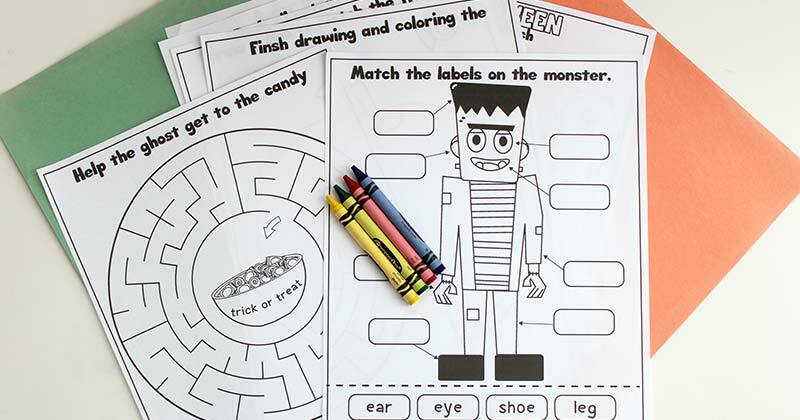 These Halloween activity pages feature not-too-spooky Halloween pictures to color along with Halloween activities and prompts. And it's all in a file that you can download and print right from home for tons of Halloween fun! My boys are loving these Halloween activity pages. Since they started kindergarten earlier this month, they are more into drawing and writing than ever. 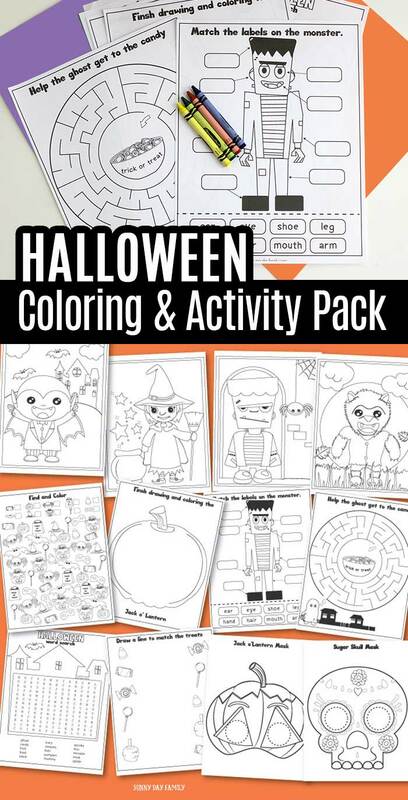 They are also just slightly obsessed with Halloween, so this activity set is perfect for us. And your kids will love it too! Here's what's inside the printable pack (20 total pages in all!). You can get the entire activity book by clicking on the button below. 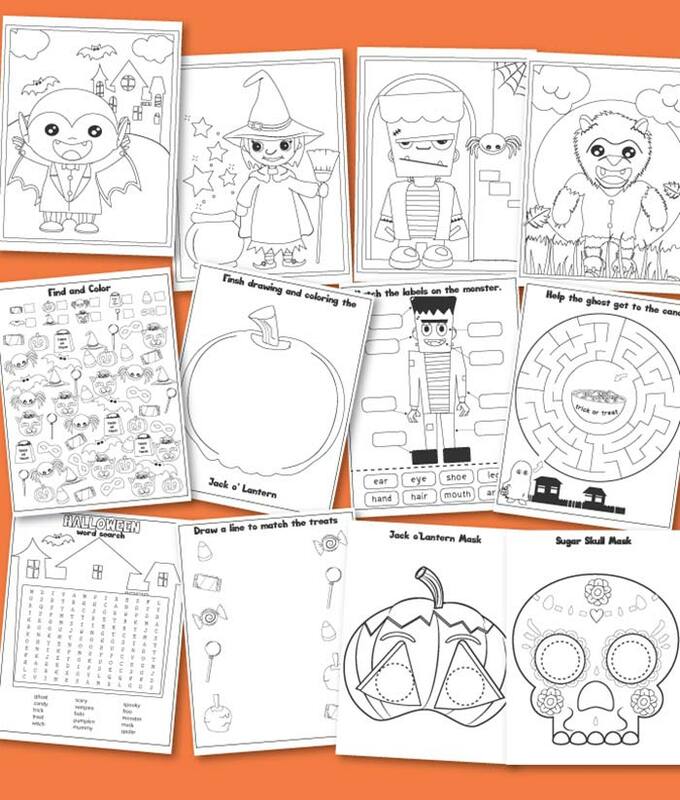 Simply download and print each page as many times as you would like for hours of Halloween fun! 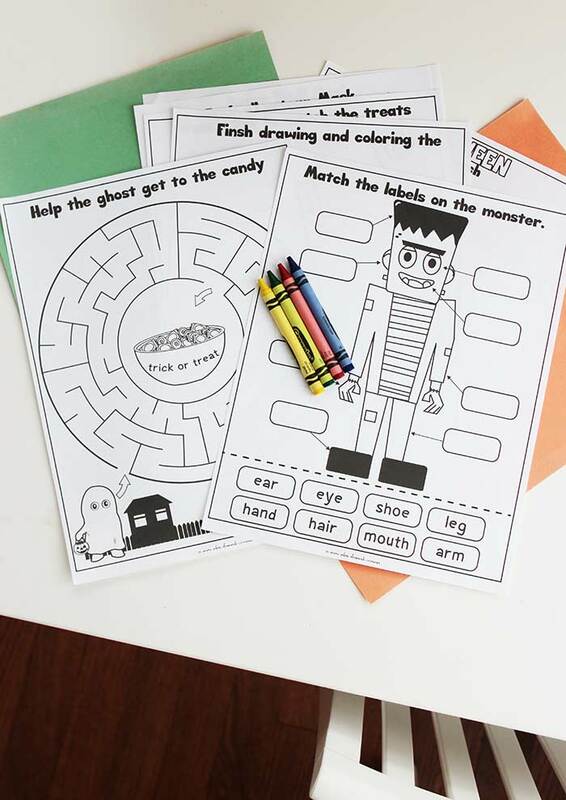 These activity pages are perfect for Halloween parties at home or in the classroom, or even as non-candy giveaways for trick or treaters. Want to get this activity book already printed? You can buy it on Amazon here! Check out all our fun Halloween activities, crafts, and printables here.